There are all sorts of ways that people can volunteer with Bridgemead. We welcome people from all backgrounds, whatever time they have to give, and we value the skills and experience that volunteers bring to our charity. When you volunteer with Bridgemead you have a direct, positive impact on the lives of older people. But it’s not just about giving something back to the community, volunteering with us is a great way to learn a new skill, make new friends, and even improve your CV. In fact, volunteering with us could make a real difference to your life as much as to our residents. 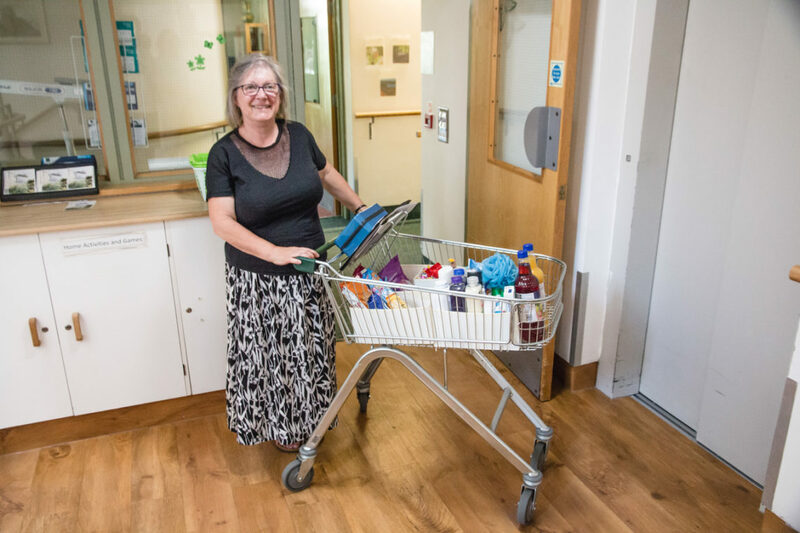 There are plenty of volunteering opportunities to choose from: perhaps you could stop by for a chat, provide transport for supermarket trips, or help out with classes or activities. If you’re good with gadgets and technology, you could show an older person how to get online or use email or Skype. If you have more time to spare, you could even lend a hand with fundraising projects or social events. Are you a people person who likes to chat? Loneliness is an issue that affects many older people, so popping in for a cup of tea and a chat on a regular weekly basis can make a big difference to our residents’ lives. Offer a lift to one of our residents – If you have your own car, you could help our residents retain their independence simply by driving them to medical appointments, community events, or for a little shopping outing. Bring your creativity and fun to our home – Do you have a skill that you’d like to share? It could be singing, dancing, gardening or arts and crafts — we always welcome volunteers to create and run activities. Click, Swipe and Skype to help our residents get digitally savvy – Could you show an older person how to use Facebook or Skype with their family? Are you a green-fingered outdoors person? You could help to maintain the garden, so that our residents can enjoy their surroundings even more. Do you have office skills? If you have some administrative experience or basic website management or social media skills, you could help behind the scenes with tasks in the Bridgemead office. Are you good at rallying and organising people? How about helping us to recruit more volunteers and coordinate our volunteer rotas? You would also deal with enquiries and applications, and show our new volunteers the ropes.